CASE HISTORY: After striking back, the Empire has rebuilt the Death Star! Kind of. But this time they have surrounded it with a spaceship-proof shield. A band of Rebels consisting of Mon Calamari, Sullustans, and other humanoid species with HORRID deformities unite together to wipe out Emperor Palpatine’s second pet project (third if you count his attempt to make the ‘living room tie together’). Listen in as these poor imbeciles hurdle themselves at a big metal ball like so many bugs to a zapper. 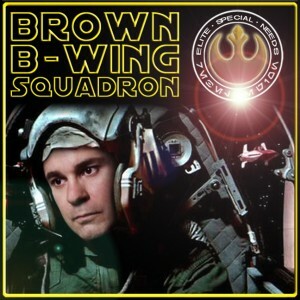 This entry was posted on Monday, December 3rd, 2012 at 12:00 AM	and is filed under Avoidant Personality Disorder, Case Studies, Dr. Carter's Case Studies, Dr. Gourley's Case Studies, Dr. McConville's Case Studies, Dr. Tompkins' Case Studies and tagged with Brown B-Wing Squadron, Chris Tallman, James Bladon, Jeremy Carter, Mark McConville, Matt Gourley, Paul F. Tompkins. You can follow any responses to this entry through the RSS 2.0 feed.